“A faithful friend is a sturdy shelter: he that has found one has found a treasure.” This scripture passage from Sirach 6:14 certainly rings true. How many times has a friend been a “shelter” for you…talked with you, cried with you, laughed with you, prayed with you and for you. 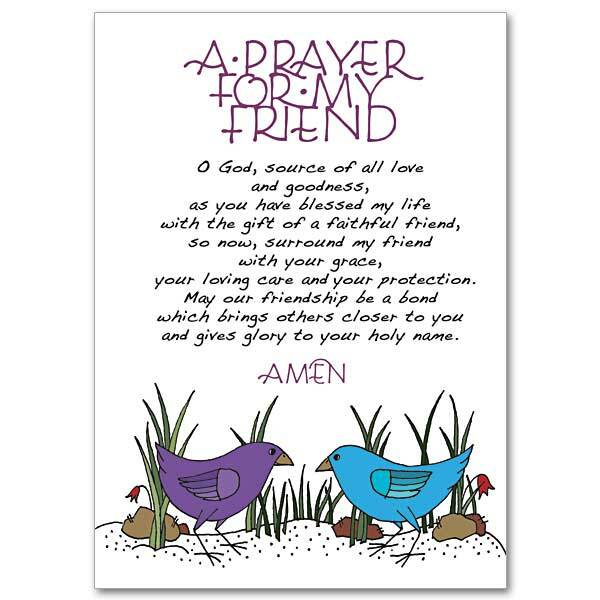 Remember a special friend with a Printery House Thinking of You card. Let friends know you’re thinking of them…you’ll be amazed at the results. This entry was posted in Inspirational Cards and tagged friendship cards, The Printery House on August 14, 2015 by Printery House. Social commentators talk about the modern phenomenon of urban isolation. This is what occurs when you put 8 or 9 million people close together in a bustling metropolis and they still feel alone. People in suburbia can feel lonely too. There’s a growing tendency in neighborhoods to never see beyond the neighbor’s garage door. The neighborhood as a social community has disappeared in many places. God made people for relationship. Humans have a desire for companionship and interaction. So when people feel alone, or perceive themselves as lonely, they quite naturally feel sad. God did not intend for His children to be all alone in the world. Psalm 68:6 says God sets the lonely in families. Sometimes God, in His providence, calls a person to singleness or to remain childless. Even when a person does marry and have a family, that estate doesn’t last forever. Children grow and leave the home. Spouses die. Research shows that feeling lonely can even be somewhat genetic. There are many reasons why a person might feel lonely. It’s easy in that situation to withdraw and nurse the sadness. It’s easy to feel invisible. But one of the best things to do when you feel lonely is to reach out to someone else. Proverbs 18:24 says A man that has friends must show himself friendly. God doesn’t promise that everyone you say hello to will say hello back, but He does say that when you reach out to others it can help to bring people into your life to help you feel encouraged. You can start by sending someone words of encouragement in an inspirational greeting card. Go to the priest or pastor and ask if he knows of anyone in the congregation who could use some cheering up. 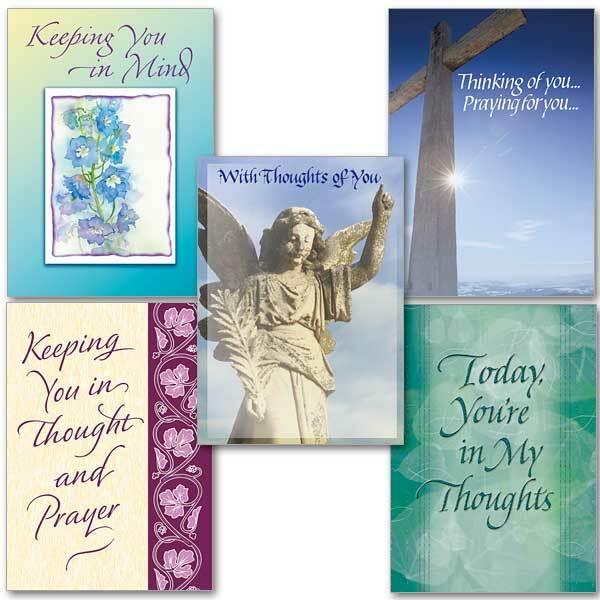 Send them an inspirational greeting card and let them know you were thinking of them. Are there people from your church in the nursing home? The hospital? Recovering from illness? Send them a card. Moms trying to juggle a job and a family could use some encouragement. Parents of teens would love to hear something nice about their child or the way you saw them interact with their child at church. Husbands rarely receive praise for their faithful love and service. Everyone on the church staff would be lifted by a card from you. Pick a person, any person and send them an inspirational greeting card. Make it a habit and you may find that it is an open door that lets you out of your lonely room. 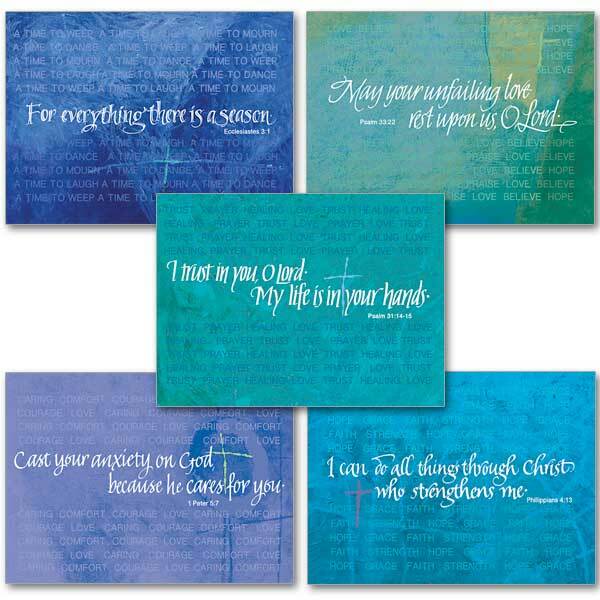 There are many kinds of Christian cards you can send to cheer the heart of another person. Check out the variety of cards for sale at The Printery House , for instance. When you feel trapped in loneliness, it can be hard to get motivated. Sending a card is a small step, but it can lead you into the world of connectedness God intended you to inhabit. 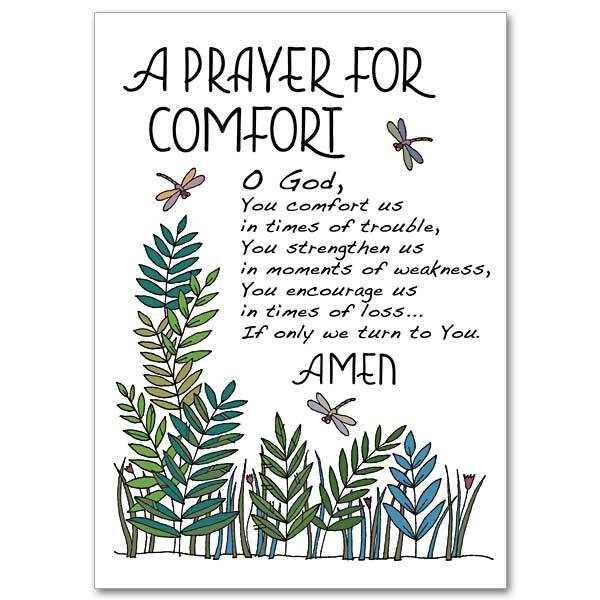 This entry was posted in Inspirational Cards and tagged all occassion cards, any occassion cards, inspirational greeting cards, religious greeting cards, The Printery House on October 3, 2014 by admin.